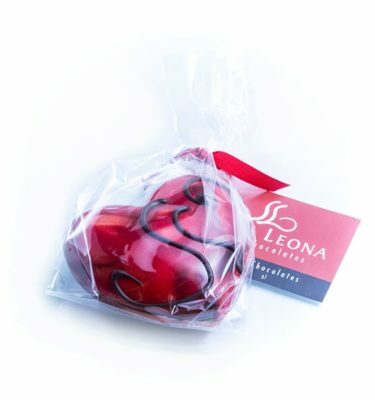 The Stella Leona 4 pc. Box is a classic table favor. 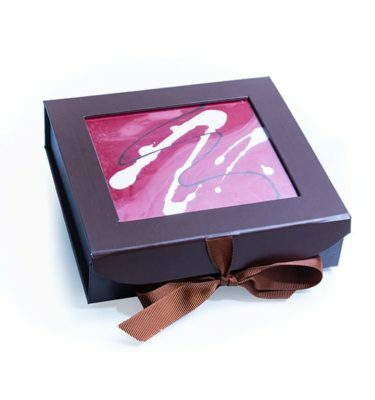 The Hand Painted box includes 4 flavors. 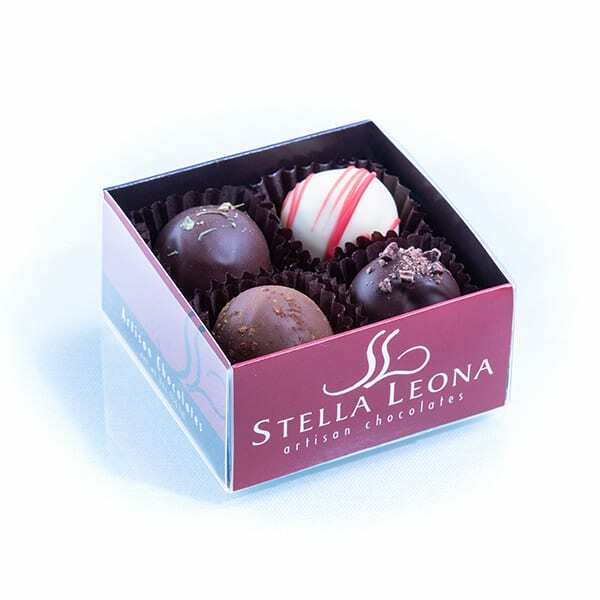 The Truffles box includes 4 flavors. 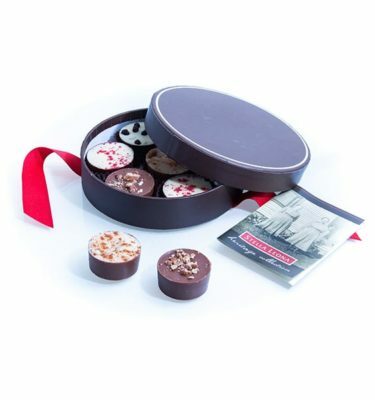 The Caramels Box includes 2 flavors.